Wooden Shjips will play live in Greece once again on March 17. The band's trademark sound is based on loud guitars, free play and repetition, while they became well known for their crucial role in psych scene's revival during the mid-2000, alongside bands like the Black Angels and Brian Jonestown Massacre. 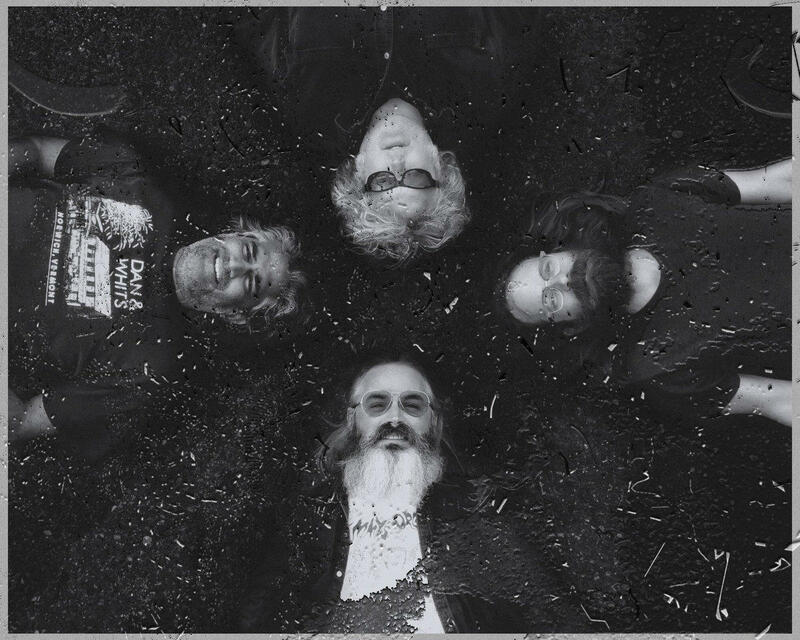 The psych/experimental rock quartet is touring promoting their latest record, 'V', a lighter and more optimistic record compared to their previous work. 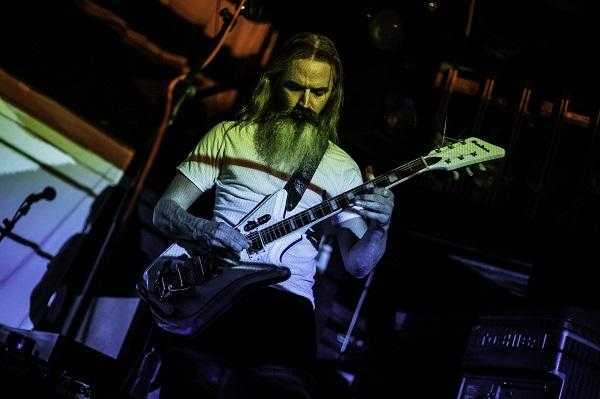 We had the priviledge chatting with guitarist and main songwriter Ripley Johnson, who explained to us his vision behind the new record, his creative muse and many more interesting things. 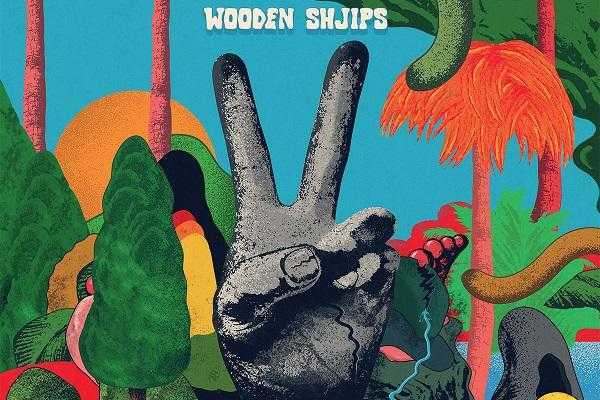 The new Wooden Shjips record, 'V' , was completed in a different fashion than previous records. You were more focused in capturing raw studio energy than fine-tuning studio output. Do you prefer this approach from previous Wooden Shjips records? Do you think it’s an evolution of sorts? We alter our approach a little bit for each record, usually out of necessity. I hesitate to call it evolution because I don’t necessarily think it’s better. For this record we wanted to move very quickly, rehearse very little, record in a short time period. It’s helps to create, and capture, a certain energy that can be lost by overworking things. As a band you take your time in-between albums and collaborate in other projects. How do you balance yourself for example between Wooden Shjips and the Moon duo? Do you feel that this musical variety has been crucial for your inspiration? It is crucial. I have a hard time sitting still, and also I think it’s good for different projects to have their own identity. Often there are sounds or ideas I’m interested in exploring with one band, that wouldn’t work with the other. So I’m not left trying to force something to work just because it’s something I’m into. Some things don’t work with either band! From its cover to all the lyrical connections - the current political climate and natural disasters - 'V' can partly stand as social commentary. There are artists who believe that music (rock 'n roll for that matter) and politics should not be mixed. Can music indeed influence politics and maybe aid with social issues? I don’t know. For younger people who are still figuring out who they are, and what they stand for, it can maybe have an impact. It’s probably less about the song than the culture of the music. I think pop stars and people like Bruce Springsteen can probably get people to think about certain issues. But if you go to a psych fest, most of the audience is probably down with peace and protecting the environment. Although the main aspect of Wooden Shjips remains the same - loud guitars, free play and repetition - in these new tracks you have been experimenting with synths. How did this idea came to be? Were you deliberately trying to mix things up? Part of that is that we were aiming for a “light” record, so I think we had more space sonically to play with. We’ve used some synths before, a Minimoog on West, for example, but this album just seemed to be calling for it. I once heard that for the sake of songwriting, Tom Waits used to play seven radio stations simultaneously, looking for interesting overlaps. What's your songwriting trick for melodies and inspiration? I don’t have any tricks per say. For this record, a lot of the songwriting started with loops. I almost always have beats in mind when writing songs but I think this is the first time starting with loops for the Shjips. A lot of my ideas come while walking around, so I hum things into my phone recorder, then try to make sense of it later. Some good things have come from me trying to interpret my own bad humming. The Psych Scene has been complimented by bloggers and its following increased within the internet era. With all this technology in our hands, spotify and the rest streaming services, youtube etc. the way we listen and digest music has changed. Is the quality of music diminishing? The short answer is no. The interesting thing about that, to me, is that kids can hear such a wide range of music from an early age. So the influences on budding musicians can be much broader. That will bring about new sounds. On the other hand, there are probably some kids who don’t have access to streaming, have very limited influences, and their music might be better for it! That might be a more unique foundational experience in the future. Are there any particular future plans for Wooden Shjips? How do you approach the band's longevity? Have you thought about making a collaborative record with other artists? Well, this goes back to your first question. One of the new approaches for this album is that we handed the tracks over to someone else to do the mixing —our friend Cooper Crain, of Cave and Bitchin Bajas. In the past we’ve always been really involved in mixing. I see that as a collaboration. I’m not sure if it will ever get past that level. I may be too much of a control freak. What bands are you listening now which you could recommend (new or old)? I really like Gun Outfit. Prana Crafter. Circuit des Yeux. Umberto. I’ve been listening to Brazilian stuff that’s new to me: Lula Côrtes and Zé Ramalho’s Paebiru, Azymuth, Marcos Valle. It’s not your first time here in Greece, we had the privilege to see you a few times the last ten years or so. Have you had any experience with the local music scene? You mean other than listening to a lot of Aphrodite’s Child? Unfortunately we never have time to stick around and really check things out. And it will be the same this time. It’s the curse of touring. Wooden Shjips will play Gagarin205 on Sunday March 17.